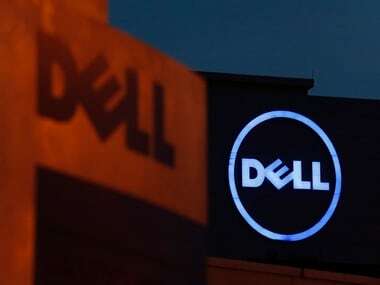 Giving a fillip to IT adoption among the Indian enterprises, Dell EMC and Ingram Micro have announced the launch of a new Hardware-as-a-Service model. Giving a fillip to IT adoption among the Indian enterprises, Dell EMC and US-based IT firm Ingram Micro have announced the launch of a new Hardware-as-a-Service (HaaS) model in the country. HaaS comprises hardware and premium services including notebooks, desktops, servers, networking equipment (switches/routers) and tablets coupled with payment options up to four years customised to individual organisational requirements. The move will help companies of all sizes look at a non-capital driven approach as they move through their individual digital transformation journeys. "In collaborating with Ingram Micro, Dell EMC wants to work with organisations to accelerate their digital transformation journeys to remain competitive in a rapidly evolving global landscape," Anil Sethi, Vice President, Channels, Dell EMC India, said in a statement. The joint go-to-market strategy relies on Dell EMC's capabilities in enabling companies to accelerate their IT, security and workforce transformation coupled with Ingram Micro's reach through 18,000 partners. "Our partnership with Dell EMC allows organisations access to best-in-class technology coupled with our reach throughout the country and the value-added services that we bring to our partners and customers," added K Jaishankar, Country Chief Executive, Ingram Micro. "India's $1 trillion dollar opportunity will be shaped not just by the opportunities present in new and evolving forms of technology and their associated applications but also through how well businesses are prepared to take them on through their IT preparedness," he added.